Beyonce and Jay-Z is currently on their sold out OTRII tour. For their second show in Paris, France on yesterday(July 15th), of course Bey delivered some new looks. I slacked this time around posting her costume looks because unlike her previous tours, just about every stop, she introduced new looks. 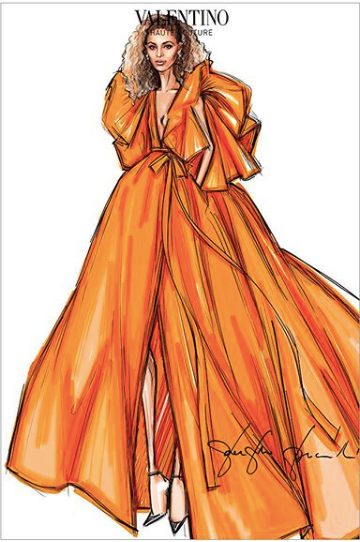 For one of her slow melodies in Paris, she came out in a vibrant orange VALENTINO FALL 2018 COUTURE taffeta gown with voluminous sleeves and a tie waist. Bey had the gown altered from the runway version which featured a plunging neckline. Bey doesn't have a small bust so the shorter neckline worked in her favor. 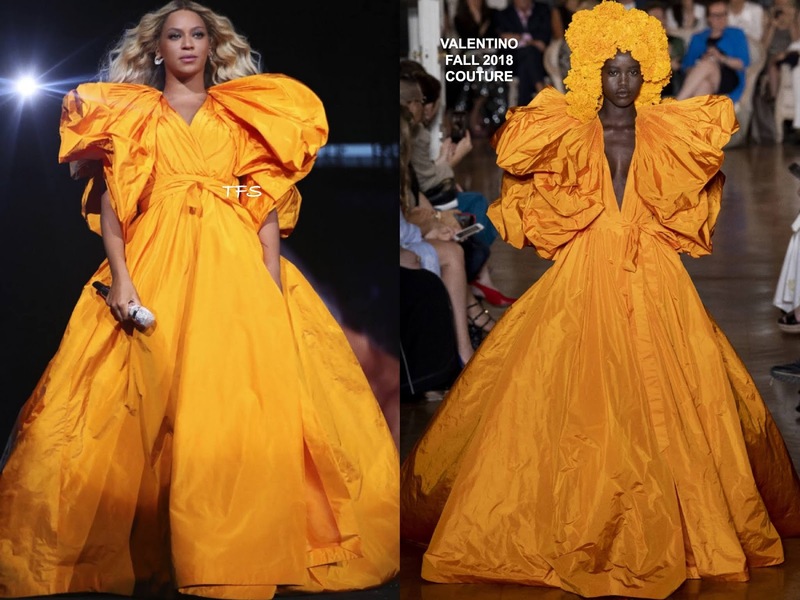 Crinkled fabric like this can be hard to pull off but I think for Bey's performance, it worked. Are you feeling this look on Bey? You can check out all of the tour looks & image at Beyonce.com.